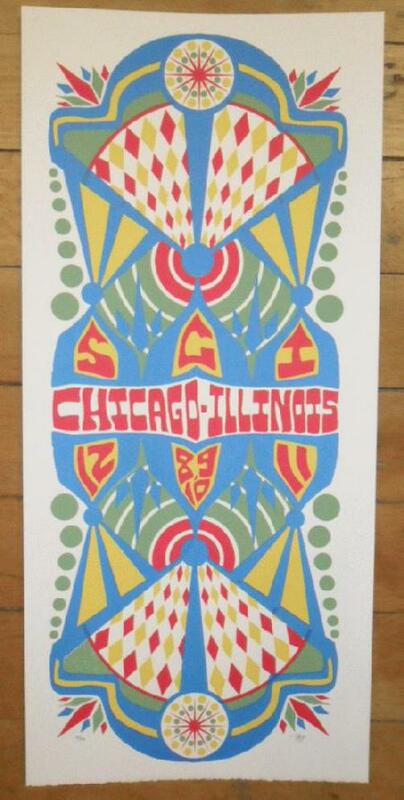 Original silkscreen concert poster for The String Cheese Incident at The Aragon Ballroom in Chicago, IL on December 8th, 9th, and 10th 2011. It is printed on Watercolor Paper with Acrylic Inks and measures around 10 x 22 inches. Print is signed and numbered out of only 70 posters by the artist Tripp.